Considered to be Portugal's most difficult golf course, Troia is for that reason a major challenge to any golfer. It is one of the links designed by the famous Robert Trent Jones and opened in 1982. 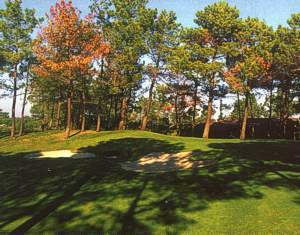 Its principal obstacle is sand which borders the whole course, where pine trees and wild plants are also found in abundance. With breathtaking views over the ocean and a welcoming clubhouse set among pine trees, Troia is surely a golfers' paradise. The Trent Jones signature can be seen on the greens, which are small, narrow, and always well protected - sometimes by huge bunkers. All this might give the idea of an almost impossible course. Nonetheless, when at the tee, the fairways seem to be wide and don't show many signs of danger. Only later does one understands that the real challenge of this course is to arrive at the greens in such a way that a respectable score can be obtained. The famous architect said he would include hole number 3, running along the beach, as one of the eighteen holes of his 'ideal' golf course. Troia hosted the Portuguese Open Championship in 1983, when victory smiled on the Scotsman Sam Torrance who averaged just two shots below Par, and was the only professional to achieve Par for the course during four days of the competition. 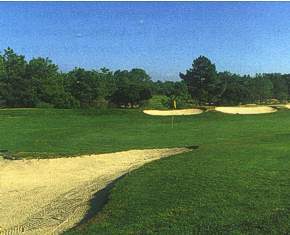 Facilities: Driving Range, 2 Putting Greens, Pitching Area (with bunker), Trolleys, Buggies, Club Hire, Pro-shop, Restaurant, Bar, Swimming Pool, Tennis Courts.